Stephanie O’Neill, 80, was pronounced dead at a local area hospital. NCPD reports a fatal auto accident, involving a pedestrian, which occurred in Lynbrook on Monday, April 24. Lynbrook, NY - April 25, 2017 - Homicide Squad detectives report the details of a fatal auto accident, involving a pedestrian, which occurred in Lynbrook on Monday, April 24, 2017 at 11:45 A.M. According to detectives, a male driver, 38, operating a 1998 Ford box truck, was backing up in front of 30 Daley Pl., when he struck a female pedestrian, Stephanie O’Neill, 80, of Lynbrook, who was walking behind the truck. Northwell Health Ambulance transported the victim, who sustained head trauma and internal injuries, to a local hospital. She was pronounced dead at 12:53 P.M. by a staff physician. No other injuries were reported. Detectives report no apparent criminality. A brake and safety check was performed at the scene. 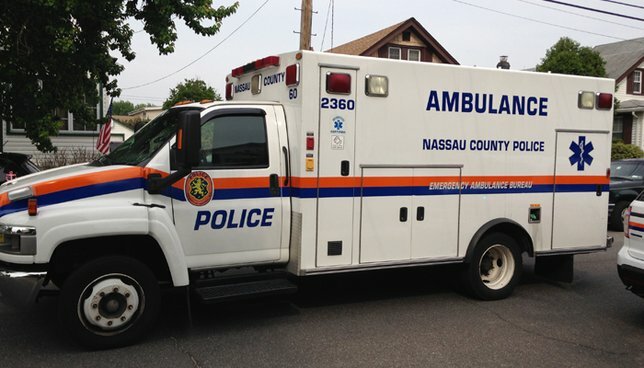 Subject: LongIsland.com - Your Name sent you Article details of "NCPD: Box Truck Backs Over, Kills 80 Year-Old Woman in Lynbrook"